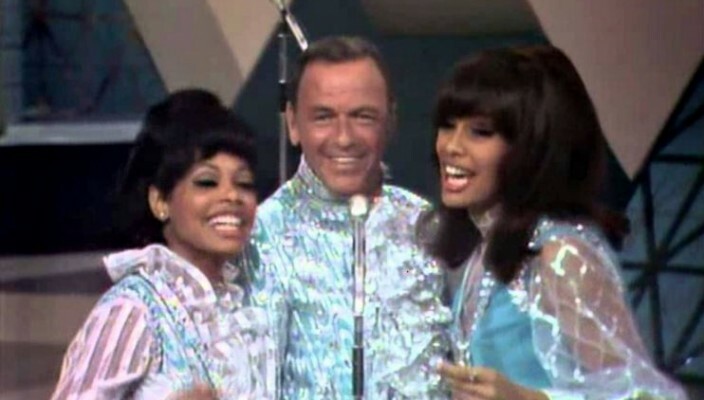 May we present to you the rather excellent Fifth Dimension combining with Mr Frank Sinatra on the 1968 TV special ‘Francis Albert Sinatra Does His Thing’. It has to be said Mr Sinatra is looking a little awkward at times but be consoled by the fact that he’s singing what is essentially a drinking song that was written by the excellent and sadly departed Laura Nyro. This was one of many TV specials Sinatra did from the 50s through to the 80s and there is a subtle shift as time progresses where Frank goes from performing his own classics to him taking a few risks. This is best demonstrated in the 1968 special, with Sinatra even doing his bit for the nascent civil rights movement by having African-American performers on stage doing their own stuff (albeit a drinking song – can you see what they did there?). It’s only a short clip but good fun nevertheless so stop reading this and watch the video.